Battlefield by our correspondent in June 2009. Travelling by car through the quiet countryside of Northern France towards the Valley of the Somme it was hard to imagine the stark sights and sounds of the surrounding battlefields during 1916. 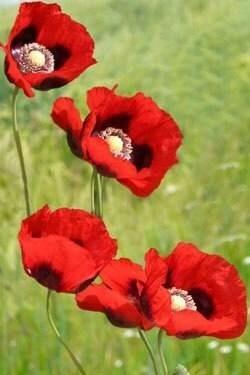 For it was in 1916 that my Great Uncle lost his life in the Great War. Coming from a small mining town in the County of Durham, Harry joined the Durham Light Infantry and France, in those days, must have seemed like the other side of the world. For him and his pals the thought of swapping the coal dust and mineshafts for adventure in a foreign land must have been overwhelming ………. to begin with. The names of the towns such as Loos, Beaumont Hamel, Bapaume and Albert must be forever in the memory of those who fought in and around the Battle of the Somme. Most memorable was a visit to the Thiepval Memorial which commemorates 72,000 British and South African men who fell on the Somme between July 1915 and March 1918 and who have no known grave. Just outside Bapaume, at a place called Bancourt, there is a small British Cemetery, just one of the many that are scattered around the Pas de Calais. Bancourt, looked after and cared for by the French, is an immaculate memorial to almost 2,500 soldiers who died, most of them during the winter of 1916-1917. I found the grave of my great uncle Harry. Harry Barker, aged 30, died 5th October 1916; I am almost certain to be the first family member to visit in almost a century. Reading the history of the Somme, he most likely would have seen action during the last phase of the Battle of the Somme, killed at the Battle of Ancre. Later this year when we commemorate Armistice Day, I will remember Bancourt, the final resting place of Harry, an ordinary Christian lad from the colliery, who joined the 11th Battalion, Durham Light Infantry, fought for his country, but, like so many, never came back. Despite a short shower of rain at the beginning and end of the day the St John's annual summer fete was a bigger success than ever this year. The opening hours were extended for the first time and this proved popular. Gordon Trinder, the Town Crier, announced the opening of the fete at 11.00am and over 350 visitors came in steadily throughout the day. Which duck did you say was the winner ? The barbeque was a sell out, as were the home-made cakes and produce stalls. The raffle, which was largely stocked with prizes generously donated by local shops and businesses, proved a popular attraction. Young children enjoyed the bouncy castle while parents and grandparents had a go on various games and sideshows or simply enjoyed a cup of tea and a cake. 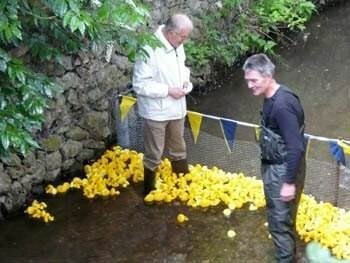 The highlight of the day was the duck race held at 2.30pm. Phil Bonson undertook the release of over 700 ducks (plastic not real!) which raced on the River Alne under the bridge in Beaudesert Lane. The winning duck was No 722, just beating No 22 by a short beak in a close finish. 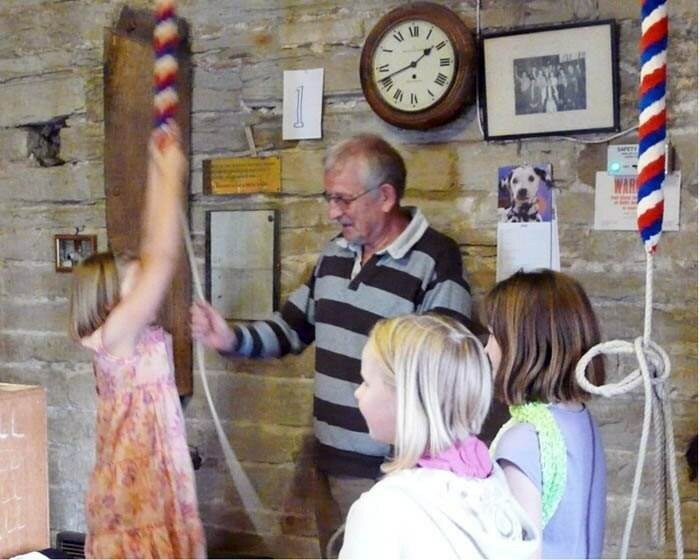 The fete raised just over £2,500 for much needed church funds. Many thanks to all those who attended and the helpers who put so much time and effort into making the fete such a great success. The next event in the church’s busy social calendar will be a Strawberry Tea on Thursday 23rd July at Alne House, Beaudesert Lane. 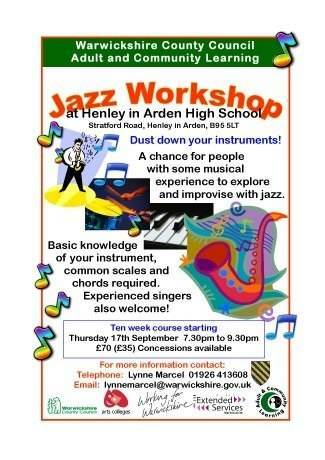 See the Henley NEWS On-line Notice Board below for more details. I have only been in Henley since the beginning of the month and don't know much about the place except its proximity to Birmingham's NEC where I have spent much time at trade shows and exhibitions. 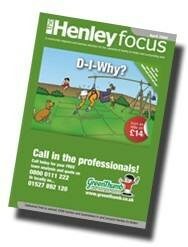 I was therefore very pleased to receive a copy of the Henley Focus through my letterbox and I was quickly drawn to the advert from the Beaudesert and Henley Joint Parish Council asking for volunteers to help distribute sandbags the next time it floods in Henley. The reason for my interest is that after the floods of 2007 I set up a flood protection company to see if we can relieve some of the misery that flooding causes to homes and commercial properties. I am a telecoms professional by trade but watching the news reports of the 2007 floods and seeing the fruitless antics of people deploying sandbags I wondered why this great invention I had seen on Tomorrow's World was not being used universally. Of course in this Internet age you can find out anything so I tracked down the inventor, found out who he had sold out to (inventors often do not make good businessmen) and then spent over a year persuading them that we could advance their business. Revetment was formed during 2008 whilst we negotiated and secured a reseller agreement with Floodguards Systems and we are now their agents in the UK. That should, you would have thought, have started a "deluge" of sales orders for this incredibly simple and effective solution that is 100% effective at preventing water entry though building apertures - doors, windows and air bricks. What we hadn't counted on was human nature, the obfuscation of government departments (Defra and the Environment Agency) and the rather odd attitudes within the British insurance industry. Back in 2000, the Environment Agency (EA) instigated a test procedure through the British Standards Institute to have a kite mark accreditation to allow consumers to judge which of the 40 odd products available for protecting building apertures were fit for purpose. Only seven companies went through the exercise and gained the PAS1188 certificate. Details of these can be found on the National Flood Forum and the EA's web sites. The EA started some pilot installations of these products after the Carlisle floods and have done numerous others in Leeds and Scotland to prove their worth. After many years they have now decided they do have a place in their overall solution for providing flood defences across the UK so they are now offering grants to residential property owners to purchase these. This scheme is administered through the local councils across the UK but because it is a new procedure the £5m available will only be on a trial basis over the next two years! Oddly within this grant scheme there is no recommendation to the local councils to use BSI approved products as this may be seen as being anti-competitive. So why did the EA sponsor and promote this scheme at great expense to the tax payer in the first place? £5m will, by the way, protect about a thousand homes over this two year period. The latest Met Office forecast predicts the number of homes at risk of flooding will rise to 5.2 million with over 400,000 having a serious risk of flooding. Clearly, more money needs to be focused on addressing this situation and that is where the ABI (Association of British Insurers) enters the fray. After the 2007 floods insurers incurred claims totalling over £3 billion. A massive sum of money. They believed the government wasn't allocating enough money to the EA to tackle this growing problem and they considered withdrawing cheap flood insurance cover for households and commercial properties in flood zones. This was addressed in the "Statement of Principles" which saw the ABI agreeing to maintain reasonably priced cover for existing customers and the government agreeing to increase its spending over the coming years. However this has led to a problem that even the ABI realises may be distorting the market because we now come to human nature. One woman I spoke to after her hotel was flooded resulting in a claim of £1m was not interested in our solutions because "I have still got insurance cover" so she will flood again. I have never been the victim of flooding but I have seen the aftermath. Aside from the human misery of losing your personal possessions and probably having to move out of your home for a year or more it is a fact that we are not just discussing water here. If it is an overflow from a river then it will carry silt: a fine muddy film that gets into everything. If you are unlucky enough to suffer surface water flooding then you could have raw sewage floating around your house. Sand bags add to the problem here too because you will have to dispose of them in an environmentally secure way afterwards and they are even heavier when they are saturated. A study by Norwich Union of 1,500 UK residents living in areas hit by the summer 2007 floods revealed that people had done little or nothing to reduce the risk of future damage. 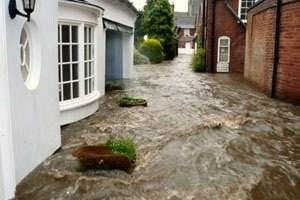 Some 83 per cent of people living in Gloucester, Tewkesbury, Hull, Sheffield and Rotherham believe that there is nothing they can do to protect their homes from flooding, and 95 per cent have not taken any measures that could help to prevent (or significantly reduce) the stress and emotional trauma of future similar events. Some 46 per cent of people surveyed said that they had chosen not to make any changes to their property because they “wanted their home put back exactly as it was before”. Others (46 per cent) said that they did not think it was their responsibility to make changes – that this lay with their local authority or with the Government. These findings are especially alarming as the survey was undertaken in severely flood-hit areas not long after the event. And evidence shows that public awareness diminishes greatly following a year or so without any flooding - highlighting how difficult it is to get people to change their behaviour. A professor from a northern university has also concluded that property owners will flood three times before they will take any action. Add to this that affordable flood cover is still available and you can see the challenges we face. Which all goes to prove that selling, even when you have one of the best products available, is not as easy as some people believe. It costs about £4,500, on average, to protect a home from flooding and between £50,000 and £60,000 to repair it after it has flooded. So when it floods again, as surely it will, and the ABI complains again about claims rising to several more billions they and the flood victims will only have themselves to blame. Waiting for the government to act is a leap of faith. Attitudes will only change when the insurance sector takes a tough stance and premiums start to rise as they will once they have more detailed flood maps. So I will volunteer to help shift some sand bags when the next floods arrive because nothing much will happen until all of these issues are addressed, but be assured I will be asking if you want a solution that really does work because sand bags don't. Stratford-on-Avon District Council's Highly Acclaimed CCTV system has received the British Standard Accreditation, recognising good management and practice for the third year running; making the District Council’s CCTV system one of only a limited number provided by Councils to this standard. Stratford-on-Avon District has one of the lowest crime rates in the county; however District residents are still concerned about crime and anti-social behaviour. That is why one of the District Council's aims from the Corporate Strategy is a District where everyone shares in an improved quality of life with a priority of Fear of Crime and anti-social behaviour is reduced. Residents have said that they want a low level of crime and the District Council has said that it will improve CCTV coverage and work with partners to reduce crime levels. 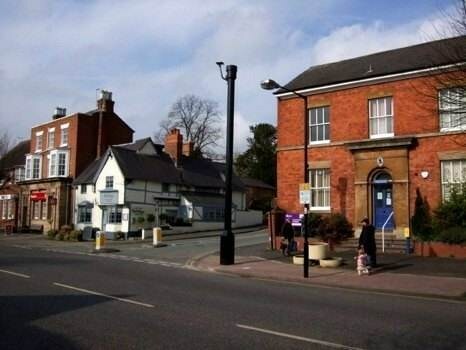 There are 90 cameras, installed at strategically positioned locations in Stratford, Shipston, Alcester, Southam, Bidford, Wellesbourne and Studley recording real time footage 24 hours a day, seven days a week, which is then fed via optical fibre cabling back to the 24-hour monitoring centre in Stratford-upon-Avon. British Standard 7958 is based on 120 criteria including effective evidential tape management, effective and regular staff audits and improved accountability. 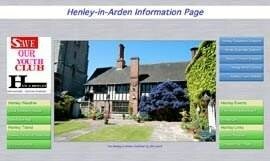 Residents in Henley would probably describe the CCTV installation as "Highly Shambolic" rather than "Highly Acclaimed". To have one Avro Vulcan Bomber in action with its four Rolls Royce Olympus engines running is a remarkable achievement. 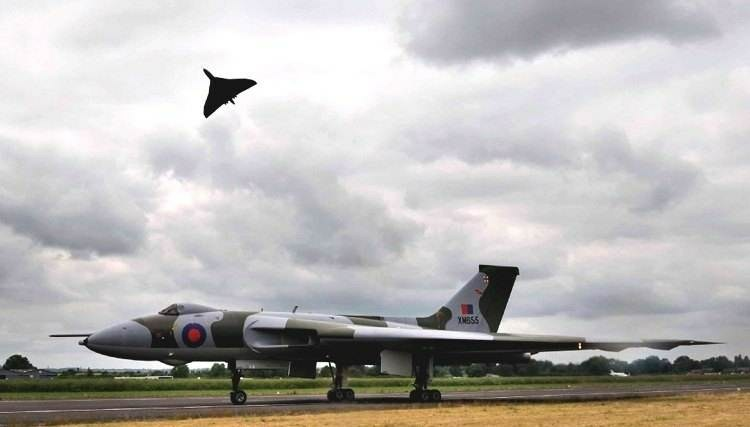 However to have Vulcan XM655 on the ground AND Vulcan XH558 displaying in the air at the same time is nothing short of a miracle. 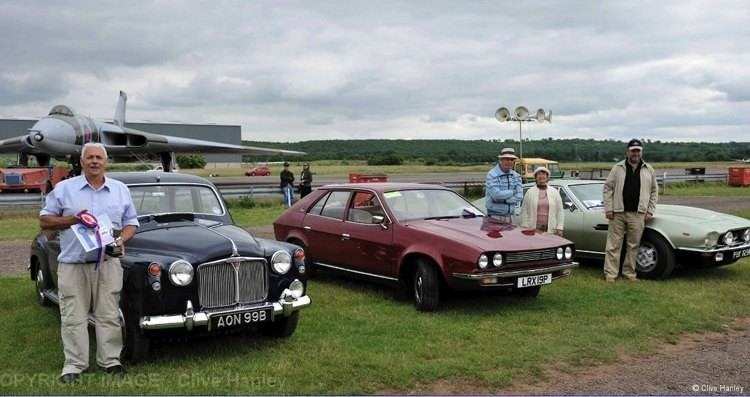 Wellesbourne airfield’s Wings & Wheels event this year was special – very special. 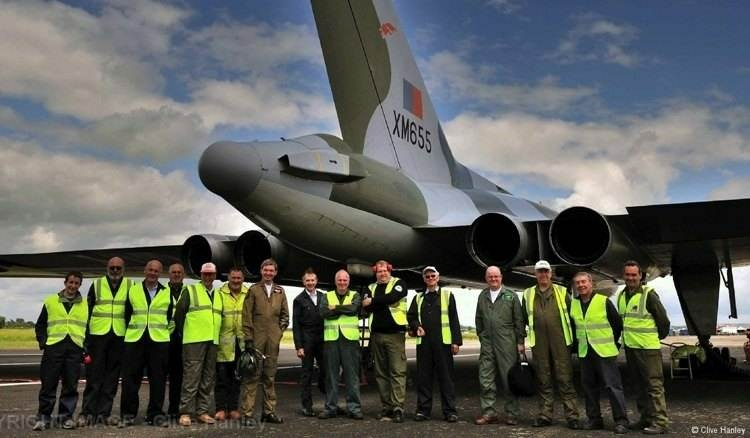 It was XM655’s 25th Anniversary based at Wellesbourne that gave rise to a number of tributes being paid to the achievements of the 655MaPS (Maintenance & Preservation Society). The first tributes took place on Saturday whilst the support team were preparing. Firstly a deHavilland Venom flew low over the runway followed in the afternoon by the Rolls Royce owned Spitfire being piloted by Bill Perrin. Both planes were en route to display at RAF Kemble but treated the team to a brief but welcome sight. On the Sunday with Squadron Leader David Thomas at the controls of XM655 on the Wellesbourne runway a formation flyover by the crack RAF Red Arrows team was an amazing sight. But...... the pièce de resistance was yet to come. The only airworthy Vulcan bomber in the world -XH558- had been displaying at an airshow in Holland over the previous two days and it was a well kept secret that it might be able to make a pass over Wellesbourne on its way to display at Kemble airshow. Sure enough after the 2nd Vulcan XM655 taxi run in the afternoon Vulcan XH558 appeared on the horizon piloted by Falklands veteran Martin Withers and made several low passes over the airfield culminating in a steep climb with its engines ripping the air as it headed away towards Kemble. The sight and sound of 8 Olympus engines was simply awesome. To finish off the tributes to XM655 on Sunday the support team were treated to further fly-overs by the Venom and the Spitfire as they headed away from Kemble back to their respective bases. The wheels element of the day was a line up of old and not so old vehicles on which their enthusiastic owners had clearly spent many hundreds of hours in the preparation and polishing, and in some cases major restoration, of their prize possessions. Awards to the proud winners were made by the crew members of Vulcan XM655. The only down side to the day was the appalling British weather that we all know and love – NOT! In typical perfect timing the rain began to fall 10 minutes before the Vulcan display. That's why I need your vote. And the Aga needs much tending. And I'm due a tax rebate. And my orchard now needs pruning. It was easier to milk it all I could. We were never breaking laws. For our corpses at the feast. What do the public expect of us? To be financing our estates. Is to screw the bloody state. 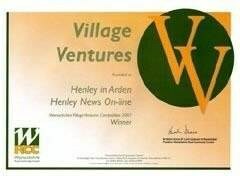 Henmen is a group promoting social interaction between retired and/or widowed men who live in Henley and the surrounding district. As well as support for using IT, advice sessions for financial, health and personal matters, there’s even the opportunity to brush up on cookery lessons if you want. In addition, there are occasional trips out and a Christmas lunch. The group meets at the Hub at Henley and the club re opens on Thursday 17th September meeting from 10.00am until about 1.00pm. If you are interested please contact either Danny Jones 794883 or Owen Greenock 793759. 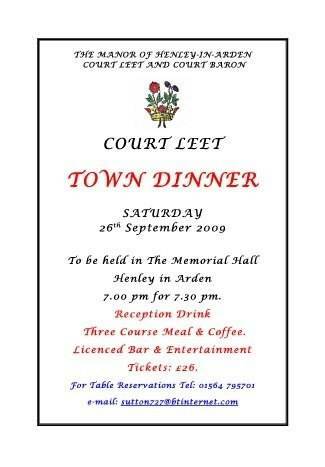 See also the advert on the Henley Notice Board below. 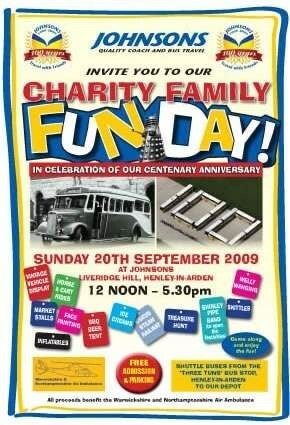 As part of our Centenary celebrations we are organising a charity fun day for the autumn. Plans are well advanced and visitors will be able to enjoy a variety of attractions which guarantees a great afternoon out for all the family. The event takes place on Sunday 20th September and is being held at the Johnsons depot on Liveridge Hill. 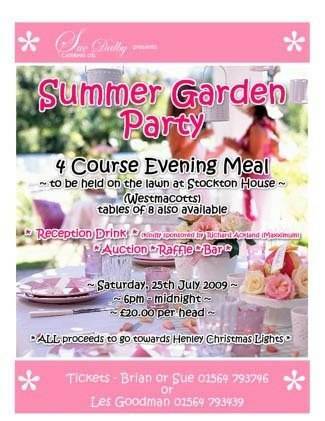 All proceeds from the event will go towards the Warwickshire & Northamptonshire Air Ambulance service. Johnsons have set a target of raising some £10,000 from fundraising during their centenary year and have already collected over £6,000 for the charity This has come from individual fundraising events arranged by the staff, the charity dinner and from some enterprising bus drivers who have been carrying collection tins around with them in the cabs of their vehicles. Your Local Hospice Needs Your Help Now! Want to use your IT and admin skills to help us? Could you help us at our fundraising events? Could you organise an event with the support of the Fundraising Team? Why not join us for an informal chat on 10th July at 10am. 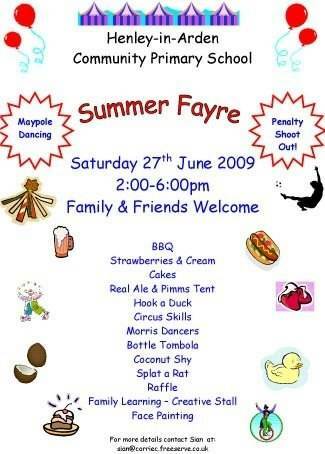 or 2pm at the Hospice, Church Lane, Shottery or ring Linda, Community Fundraiser, for more information on 01789 416950. The Shakespeare Hospice - for everyone touched by a life limiting illness: the highest standards of care, provided locally. Wow, what a night! We're thrilled that over 400 ladies (and 1 man!) 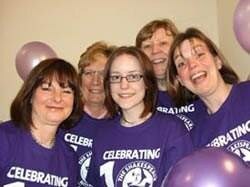 took part in our 1st ever Moonlit Walk - a true 10th Birthday celebration. Shefali from BBC Midlands Today started the walk at 10pm on Saturday 20th June and after walking 10km around Stratford everyone was awarded their medal by Stratford's Mayor Cllr Jenny Fradgely. We'd like to thank all those who made the night possible, especially our army of volunteers. With an astounding £40,000 likely to be raised through sponsorship, a true 'Girls Night Out' to remember in every way. Is Our Natural Wisdom Being Lost? At last I had my case packed, the feeder bus to Johnson's depot arrived and I was installed in seat no13 ready for my journey to Winchester. In the days before my holiday, I had been sickened and disappointed by the abuse of the expenses system by our MPs. People of any party whose word I felt I could believe seemed no longer to be trusted! My arrival in Winchester was highlighted by the magnificent statue of King Alfred, known more commonly for burning some cakes! Next day, a guided walk around Winchester made me realise that not onlywas Winchester once the capital of Saxon England, but King Alfred was a man of vision who cared for his people. He wanted to stop the fighting which was making life impossible. He wanted to offer the marauding Vikings the farmland they so dearly wanted ON THE CONDITION that they had to show they would also meet Alfred halfway; they became Christians. So the foundation of our country was laid and became the entity we know as England. Winchester Cathedral houses the remains of several Saxon Kings who would meet on a regular basis in an effort to establish what they had built on. My overall feeling was that we could do with their wisdom and sense of vision which was not entirely down to money. Next day I was to fulfil a lifelong ambition to see Stonehenge. This remarkable collection of huge dressed stones could only instill in one a sense of wonder as to how these huge stones were transported, some from Wales. Moreover the big question was why? The monument is surrounded by burial mounds and it was felt by some that this was a place where people came to revere their dead. Also the astronomical theory cannot be ignored and it may have been used to track the movement of the sun and moon and the stars. It was a wonder that anything remains of Stonehenge due to destructive tendencies of people breaking the huge stones to build their own diminutive piles. Also the attempts by archaeologists, notably Inigo Jones and John Aubrey. Aubrey took a major part in the survey of Stonehenge to the extent that 56 postholes are called the Aubrey holes. The most important and accurate survey of Stonehenge was by John Wood in 1740. As I reluctantly moved away from this most majestic if somewhat broken monument, I reflected on the people who built it. We might never know the reason for its existence but one thing is certain: those people had a sense of reverence for God's creation and perhaps that exists in those of us who are in awe of those ancient builders and raised stones the world over. Then we visited Jane Austen's hose in the very small village of Chawton. It was like stepping into another world of peace and calm, a truly archetypal English village complete with teashop. Well, I arrived back to a political situation of mythical and legendary proportions. The Dark Brooding Leader had failed to ensure the Valiant Queen's place at the feast. Her loyal warriors voiced their displeasure in no uncertain manner. Next day, the Prince of Darkness had assembled loyal supporters of the Dark Brooding Leader who voiced the achievements of the said Leader but it was not the cup of nectar he had hoped for, the Prince of Darkness could only offer the poisoned chalice even if he wished otherwise. I shall think back to King Alfred and his vision. It is my belief that our nation has an inbuilt wisdom which brings us through the most devastating crises, the wisdom that built Stonehenge and formed the English nation. 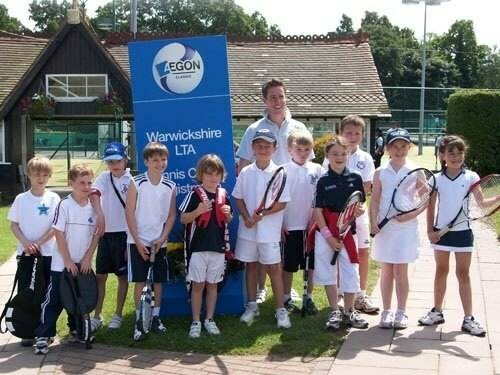 Henley-in-Arden Tennis Club juniors enjoyed a wonderful day at the Aegon Championships at Edgbaston last week. Coach Neil Supperstone, girlfriend Lucy and several parents helped out. After a session in the play zone, they were able to watch Sharapova on Centre Court. Two days later they were enjoying playing in a tournament of their own. Henley held their first Junior Championships on Sunday and competition was keen to win the new perpetual shields which the club had bought, as well as medals to keep. Henley are holding the finals of their adult tournament on Sunday 28 June, and the public are invited to play tennis free from 12.30 and meet the members for a fun day. Adult and Community Learning (part of Warwickshire County Council) are offering new and exciting courses for adults in the Henley area. All courses are half price for people 60 + years and concessions are available for people on certain benefits. Why not request your own course? If a group of you would like to do the same course, let us know and we will try to arrange a tutor and venue to suit you. Young people from Warwickshire are being invited to experience the sailing trip of a lifetime during their half term holiday this year (24th – 31st Oct 2009). The trip, which is limited to 20 places, is open to young people aged between 16 &19 and is being organised by Warwickshire Clubs for Young People (WCYP) in partnership with Warwickshire County Council’s Youth Service and the James Myatt Trust. The experience is designed to develop the young people's personal and social skills, enable them to experience new environments and meet new people. They will sail in two tall ships from Hamble near Southampton and, weather permitting, visit the Isle of Wight, the Channel Islands and the north coast of France. Young people taking part will be charged a small contribution towards costs. Henley Primary School was visited by some mysterious guests last week! The school ran a special PIRATE themed week as a focus for all activities. The children engaged in work about pirates in the past and in the present day. Older children also had the opportunity to meet author Luke Templar, whose recent novel ‘Stormy Cliff’ was available to purchase. 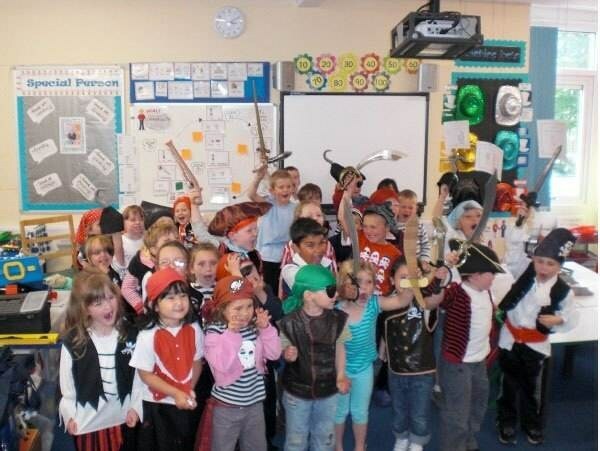 The whole school, including the Reception Class above, dressed up as pirates, including staff! Warwick Gates has a Community Church based in their Community Centre. Church Army Captain Roger Horsley, who works there, is coming to Henley this month to tell the congregation at St. John’s about his work. 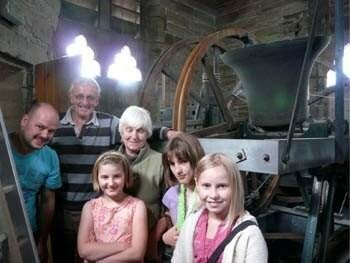 The Church Army is one of the charities supported by members of St. John’s who give regularly to its work. Church Army Evangelists work at the coal face of human need and Roger “breaks the human isolation and encourages a sense of belonging among the population of Warwick Gates”. 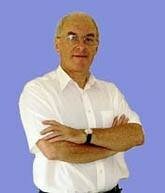 Come and hear more about his work on Sunday 5th July at the 8 and 10 am services at St. John’s. Thank you so much to all those who gave so generously to Christian Aid. We collected £2,395.20 and as £1,354.92 of that was accompanied with a gift aid declaration, this year Henley will have raised £2,772.05 for some of the world’s poorest communities. A special thank you to all our collectors. If you supported Christian Aid week, your money may have helped Children First in Jamaica. Located in the heart of Spanish Town, its programmes benefit vulnerable youth from the surrounding communities which are plagued by gang violence, low literacy rates, unemployment and substance abuse. It offers social, educational and skills training programmes to needy youth and also aims to empower their parents/guardians to overcome poverty and enhance family life through life skills and parent programmes, as well as small business projects. 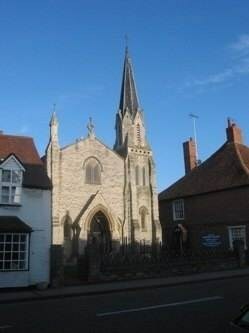 Sunday Services all at 11.00 a.m. are: 5th – Mr. John Parkes; 12th – Revd. 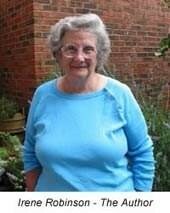 Arthur Kent (Sacrament); 19th – Mrs. Lesley Sergeant; 26th Mr. David Loader. The Baby Group meet every Monday 10.30 am. Rob Round, who trained under Raymond Blanc at the renowned Michelin star restaurant Le Manoir aux Quat’Saisons, has been appointed new head chef at the award-winning Bluebell in Henley-in-Arden. His new role coincides with the launch of a vibrant new Spring/Summer menu and the introduction of a private dining area adjacent to the venue’s popular garden terrace. 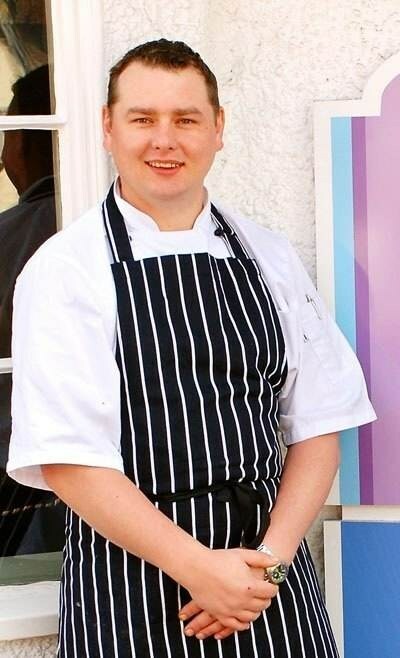 Rob joins the Bluebell after an impressive career as head chef with leading Midlands venues including the highly acclaimed Boot at Lapworth, The Cross in Kenilworth and The Baraset Barn, Stratford-upon-Avon. Inspired by his Italian background Rob has created an innovative new menu which he describes as “a fusion of Anglo Italian dishes”. They include poached and grilled spring chicken with a confit chicken ravioli and a wild mushroom sauce or his take on the traditional British Beef Wellington, which is fast becoming the Bluebell’s signature dish and is served with white truffle spinach and crispy potatoes. Rob’s luxurious puddings include café crema with a Tia Maria espresso granita and a coffee and fennel seed biscotti and sticky toffee bread and butter pudding with hot toffee sauce. Created by Ellis Taylor Design Ltd, the opulent and distinctive setting features bronze leather padded walls with sunken gold lion heads and peacock feather drapes. 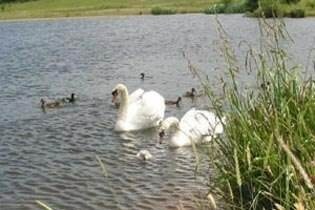 On Tuesday 16th June Henley Wildlife Society made a visit to the new RSPB nature reserve at Middleton Lakes. 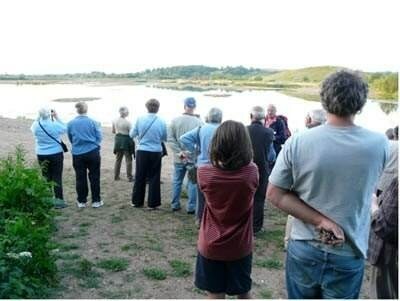 Twenty five people enjoyed the beautiful summer’s evening having a stroll through part of the reserve accompanied by two volunteers who told of the many birds and animals that already frequent the site and about those they are planning to attract in the future. By one lake the society members watched as swans, grebe, moorhen, coots, black headed gulls, terns, herons and lapwings settled down for the night. They were shown where otters have been seen and where to wait for sightings of kingfishers. The RSPB is in the process of planting 50,000 special reeds in an attempt to encourage visiting bitterns into nesting there. These reeds will cover nearly 40 acres, said to be the minimum a bittern will consider inhabiting! Different lakes are being altered to have different depths and different habitats. The reserve land was previously just under 400 acres of gravel quarry. The visit was both interesting and enjoyable; a place to visit again sometime. The next outdoor meeting takes place on 21st July; meet at the Market Cross at 6:30 pm. A logger cuts down a beautiful forest because he is selfish and inconsiderate and cares nothing for the habitat of animals or the preservation of our woodlands. Your assignment: Discuss how the birds and squirrels might feel as the logger cut down their homes just for a measly profit of £20. A logger is arrested for trying to cut down a tree in case it may be offensive to Muslims or other religious groups not consulted in the felling licence. He is also fined £100 as his chainsaw is in breach of Health and Safety legislation as it deemed too dangerous and could cut something. He has used the chainsaw for over 20 years without incident however he does not have the correct certificate of competence and is therefore considered to be a recidivist and habitual criminal. His DNA is sampled and his details circulated throughout all government agencies. He protests and is taken to court and fined another £100 because he is such an easy target. When he is released he returns to find Gypsies have cut down half his wood to build a camp on his land. He tries to throw them off but is arrested, prosecuted for harassing an ethnic minority, imprisoned and fined a further £100. While he is in gaol the Gypsies cut down the rest of his wood and sell it on the black market for £100 cash. They also have a leaving BBQ of squirrel and pheasant and depart leaving behind several tonnes of rubbish and asbestos sheeting. The forester on release is warned that failure to clear the fly tipped rubbish immediately at his own cost is an offence. He complains and is arrested for environmental pollution, breach of the peace and invoiced £12,000 plus VAT for safe disposal costs by a regulated government contractor. Your assignment: How many times is the logger going to have to be arrested and fined before he realises that he is never going to make £20 profit by hard work, give up, sign on the dole and live off the state for the rest of his life? A logger doesn't sell a lorry load of timber because he can't get a loan to buy a new lorry because his bank has spent all his and their money on a derivative of securitised debt related to sub-prime mortgages in Alabama and lost the lot with only some government money left to pay a few million pound bonuses to their senior directors and the traders who made the biggest losses. The logger struggles to pay the £1,200 road tax on his old lorry; however, as it was built in the 1970s it no longer meets the emissions regulations and he is forced to scrap it. Some Bulgarian loggers buy the lorry from the scrap merchant and put it back on the road. They undercut everyone on price for haulage and send their cash back home, while claiming unemployment benefit for themselves and their relatives. If questioned they speak no English and it is easier to deport them at the government's expense. Following their holiday back home they return to the UK with different names and start again. The logger protests, is accused of being a bigoted racist and as his name is still on the side of his old lorry, he is forced to pay £1,500 registration fees as a gang master. The Government borrows more money to pay more to the bankers as bonuses are not cheap. 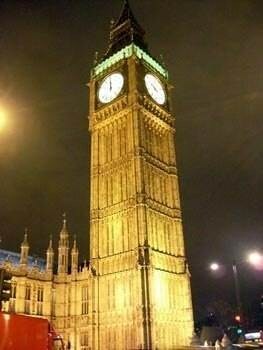 The parliamentarians feel they are missing out and claim the difference on expenses and allowances. You do the maths. Offsetting is a way of eliminating CO2 emissions by putting money into projects that prevent or absorb greenhouse gas emissions. For example, if you have emitted a ton by flying or driving or 10 tons of CO2 by heating and powering your home for a year, you can purchase an offset for the appropriate tonnage at the going rate which varies between about £8 and £20 per ton (more details later). The money is pooled with money from other purchasers and used to fund the projects. These are many and varied such as supplying fuel efficient stoves in Africa, Nepal and elsewhere, building wind farms in China instead of coal fired power stations, and hydro and biomass electricity projects. The reason that most of the offset projects are overseas is that it makes them cheaper to implement for a given amount of emissions reduction. The criterion for an offset to be valid is that the emissions reduction for the project must be proved by verification. The declared reduction must be less than the business-as-usual scenario. ‘Which?’ has recently reviewed carbon offsetting companies. In the past there have been concerns about the validity of some carbon offsets but this has now been addressed by a government quality assurance scheme (QAS). To qualify, the offsetting scheme must meet certain standards of transparency, quality and most importantly verification ie proof that the amount of CO2 offset purchased is genuine. QAS offsets only accept what are known as Kyoto compliant projects. These are very robustly verified so there can be little doubt that the emissions reduction is real. However, there are other verified schemes which tend to be cheaper partly because the verification is less detailed. This does not mean to say that the offset is less effective, it just means that the levels of proof are not so detailed so there is a small chance that sometimes the offset will not be as complete as claimed. However, I believe that this risk can be mitigated by choosing an offsetter with good transparency on the projects, good transparency of the means of verification and good transparency of their financial data. The two leading verification schemes for non-Kyoto offsets are the Gold Standard and the Voluntary Carbon Standard (VCS). For Gold standard and VCS quality offsets I suggest Climatecare at £8.63/ton. You can see project details and in some cases the project validation reports on their excellent website at www.jpmorganclimatecare.com . Some of their projects bring significant health and social benefits as well as the offsets. The links below will take you directly to the projects. Replacing the traditional (inefficient) Lao stove with a version delivering measurable gains in efficiency. Overcoming the high cost of water-powered renewable power plants in China, the Mani Hydro Power Station runs off the Yinhe River, Sichuan Province. The Mulan wind farm generates emission reductions by reducing the amount of electricity that would have been generated by conventional fossil fuels. Renewable biomass is used to generate clean electricity for both domestic and industrial users, meeting the growing demand in India. Powering homes and businesses through solar hot water and electric installations. A final comment. Some offsetters use the money to plant trees to absorb CO2. This is OK but I feel that it is better to stop the emission of greenhouse gases rather than to capture it over time after it has been released. Holding a coffee morning and cake stall in the Guild Hall on Saturday 27th June to celebrate Armed Forces Day. All proceeds will go towards the new Memorial to be erected in St John’s Church. On Saturday 27th June at 7.30 pm. Tickets £10 (£3 under 16) available as above. Proceeds in aid of Church Charities and St Nicholas Organ Fund – a church with many associations by people of Henley and beyond. 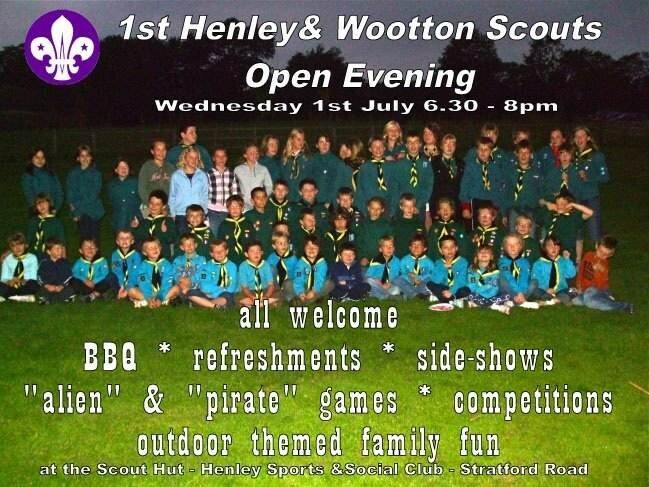 Come along to the Scout Hut, Henley Sports & Social Club, and see what you can get involved with at your local beavers, cubs and scouts group. We are holding a fun open evening where parents and young people can get together in mixed teams to complete games with an adventure and outdoors theme. Sideshows and BBQ. Henley Flower Club will be with us for our meeting on Tuesday 7th July from 7.30 p.m. in the Memorial Hall. 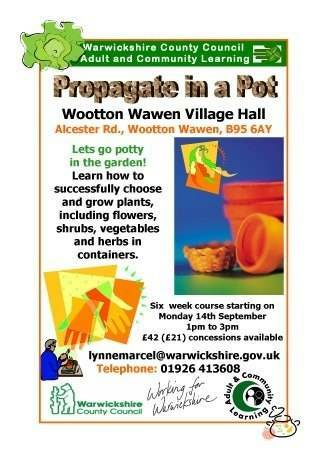 Visitors are welcome to join us as we learn how to make the most of our flowers at home. We will be visiting Jinny Ring Craft Centre on 4th August for lunch and a browse round. 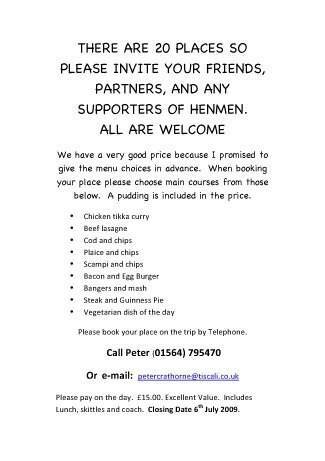 There are a few places left on the outing if anyone would like to join us. 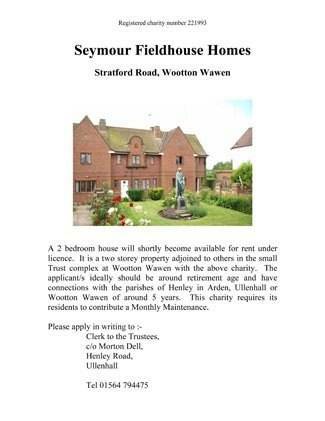 Please contact any WI member for details. 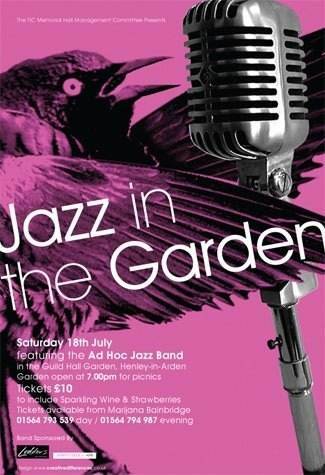 Saturday 18th July in the Guild Hall Garden. Jazz, fizz, strawberries and fireworks. 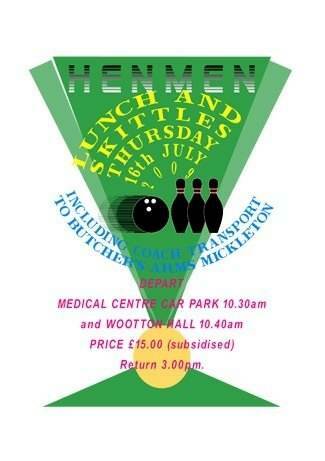 Bring your own picnic and have a great evening all for just £10.00 in aid of Memorial Hall Funds. Tickets from either Duncan or Marijana Bainbridge on 793539 day or 794987 evening. Sponsored by Lodders and John Earle and Son. 17th and 18th July at 8.00 pm. Tickets will be on sale in The Bell on Monday 29th June 10-12 noon, £9.50 includes the programme. For ticket availability after 29th June call Judith Allen 01527 550499. 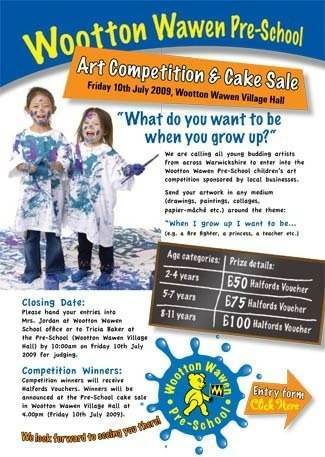 Other enquiries to Wendy Dillon on 742464. Our second outdoor meeting is on Tuesday 21st July when we hope to visit Ufton Fields. Please come to the Market Cross at 6.30 pm and contact David Evason or Bob Riley if you need transport. 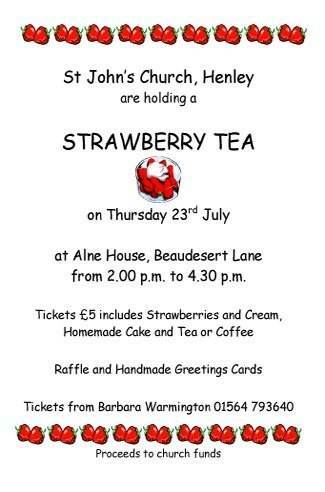 STRAWBERRY TEA on Thursday 23rd July at Alne House, Beaudesert Lane from 2.00 to 4.30 pm. Tickets £5 to include strawberries and cream, homemade cake and tea or coffee. 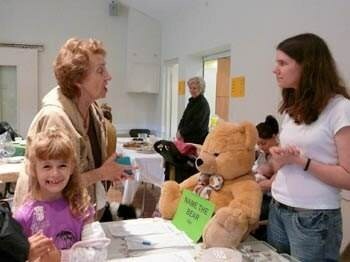 Raffle and Card Stall. Tickets from Barbara Warmington Tel: 793640. Proceeds to St. John’s Church. 25th July Competition and Show Day. 2.00 – 5.00 pm entitled “Literally”. Prize giving by the High Bailiff at 4.30 pm. HENLEY AND BEAUDESERT SOCIETY will be serving tea and cake in the Guildhall and/or Guildhall Gardens on Bank Holiday Monday 31st August between 2.30 and 4.30 pm to raise money for an information plaque for the Market Cross. HADS, with the kind permission of Great Ormond Street Children’s Hospital, are to perform Peter Pan, “A Fantasy in Five Acts”, based on the children’s book by May Byron and adapted for an outdoor arena by the writer. From Wednesday the 19th to Saturday the 22nd of August 2009 in the Guild Hall garden. Celebrating 100 years of the Memorial Hall on Saturday 24th October. Details from either Duncan or Marijana Bainbridge on 793539 day or 794987 evening. Saturday 7th November - 1st Henley and Wootton Scouts Annual Bonfire Night at The Scout Hut, Henley Sports and Social Ground. Welcomes players who may be interested in joining the club. Club nights are Friday and Sunday from 8.00pm in the Memorial Hall. Further details: Chairman 793320. Visitors welcome (£2). The WRVS organise a lunch club for the elderly of the district at Dell Court every Tuesday at 12.30 pm at a cost of £3.10. 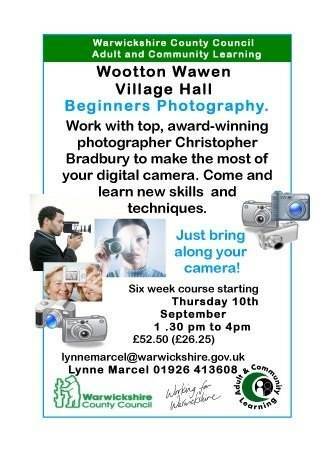 For further details contact Christine on 01789 209210.